My mind is on the holidays nonstop. Tre and I are already starting to buy Christmas gifts and decorating our place. Something about the holidays makes everything so much fun and happy. It makes the cold so much more bearable (although it is unusually warm for this time of the year). So you know what this also means?! It’s time to start my Holiday Gift Guide series! I am sure you are starting to get invited to a bunch of holiday festivities, gatherings and parties. 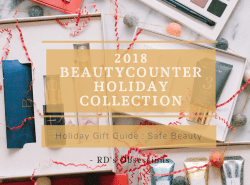 So I thought why not start my first series of the holiday gifts guides with Holiday Gift Guide for the Hostess. I always love giving the host a present. It’s so much work to host a holiday party/gathering, that the host deserves some goodies! For me, I like to give something that the host will find useful either for that occasion or future events. Or if you are hosting a few for yourself, hopefully you can find something you will need for one of your parties! Happy Shopping!! Great picks! I just love those champagne flutes! These are such great ideas! I love the champagne flutes and the gold tray! Love your gift guide, Rach! LOVE #12!! Great ideas! Love the champagne flutes! Those little candles are so cute! They would be a fun gift to give… or get 🙂 have a great weekend! Thanks so much Jamie! Have a good one too! These are so cute!! I especially love the marble cheese plates! LOVING the marble cheese board, and the champagne flutes! Great picks! Amazing choices! I love the champagne flutes!! I NEED all of these! Love the candles. I'm totally with you, my mind is in holiday mode as well. I'm actually in the middle of shooting my holiday gift guides, so I totally love these picks you have for hostess gifts. I mean how cute are those candles?! I can't wait to see your gift guides!! Loving all these gift picks! 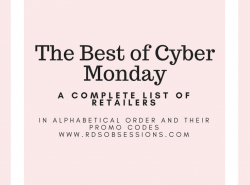 This is such a great gift guide…so many unique pieces! Thanks for sharing! Oh that cheeseboard is so pretty! 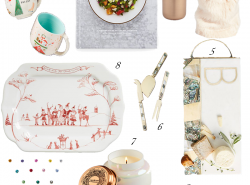 I am obsessed with that oven mitt/potholder combo and the golden tray! Super cute picks, Rach! Great idea and great giveaway! Happy holiday! It's almost funny how many of these I also stumbled upon when putting together my guide! So many amazing finds! Right?! Can't wait to see your gift guide! Anything that has gold in it is just automatically my favorite, I love all of these options and wished I had it all! These are such adorable gift ideas. What a lot of great options for a hostess! I love taking table decor to the hostess of our Thanksgiving(s). Four of them to be exact. (; haha I always hit up the local florist and get something stunning full of fall colors.